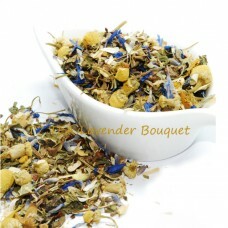 Lavender Bouquet Herbal Tea Lavender Bouquet Herbal Tea is naturally caffeine free, a great all t.. 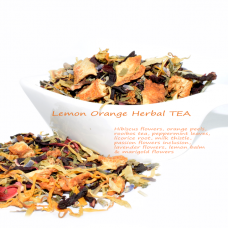 Lemon Orange Herbal Tea Lemon Orange Herbal TEA; is designed to wind down after a long day of wor..
Mango Mist Herbal Tea Fresh mango pieces, apple and hibiscus flowers come together for a tangy, f.. 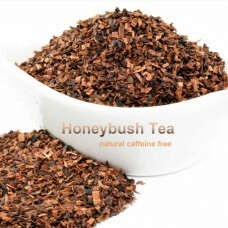 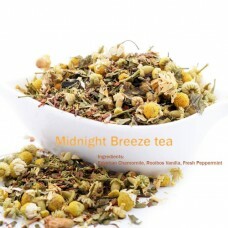 Midnight Breeze Herbal TEA Midnight Breeze tea is an herbal cocktail blend of Egyptian chamomile,..
Organic Honeybush Tea Honeybush is a sibling of Rooibos, cultivated in South Africa's Eastern Cap..
Pi Lo Chun Green Tea Green tea from the Fujian province of China. 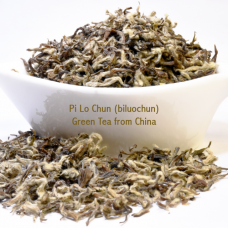 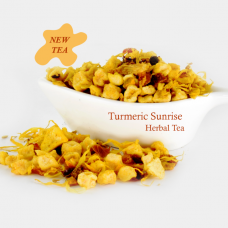 Pi Lo Chun (sometimes written b..
Raspberry Herbal Tea The genus Raspberry consists of over 200 distinct species, in which ..
Turmeric Sunrise has no caffeine at all. 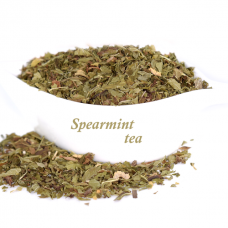 We suggest steep at 208° for 5-10 minutes. 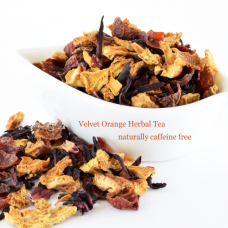 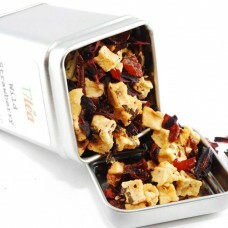 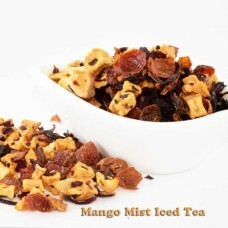 Enjoy it Iced or..
Velvet Orange Herbal TEA Velvet Orange Herbal TEA has just right amount of flavor. 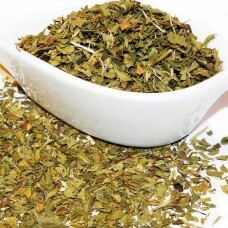 It has the nat.. 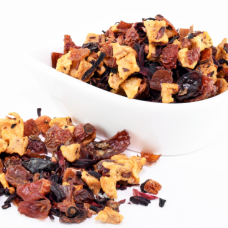 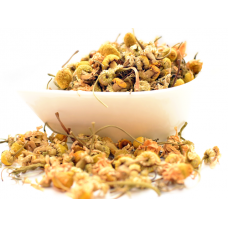 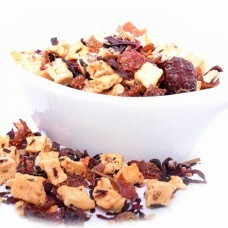 Strawberry Herbal Tea A delicious blend of natural fruits and spices that brews up a mouthwaterin..
1oz Wild Strawberry Tea with mini canister for $8.00. 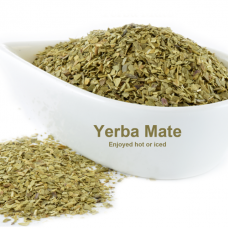 Packaging: Tea Tin Closure: S..
Yerba Mate Yerba Mate taste has been compared to that of green tea but with a more herbaceous, gr..